K 5 Compact Home T 350 16307210 https://www.kaercher.com/ae/home-garden/pressure-washers/k-5-compact-home-t-350-16307210.html The "K5 Compact Home" with water-cooled motor is easy to store and transport. High-pressure cleaner including Home Kit with T 350 surface cleaner and stone and facade cleaner. The "K5 Compact Home" with water-cooled motor is easy to store and transport. High-pressure cleaner including Home Kit with T 350 surface cleaner and stone and facade cleaner. The "K5 Compact Home" is ideal for occasional removal of moderate dirt around the home. This high-pressure cleaner with powerful water-cooled motor is suitable for bicycles, stone walls as well as SUVs. 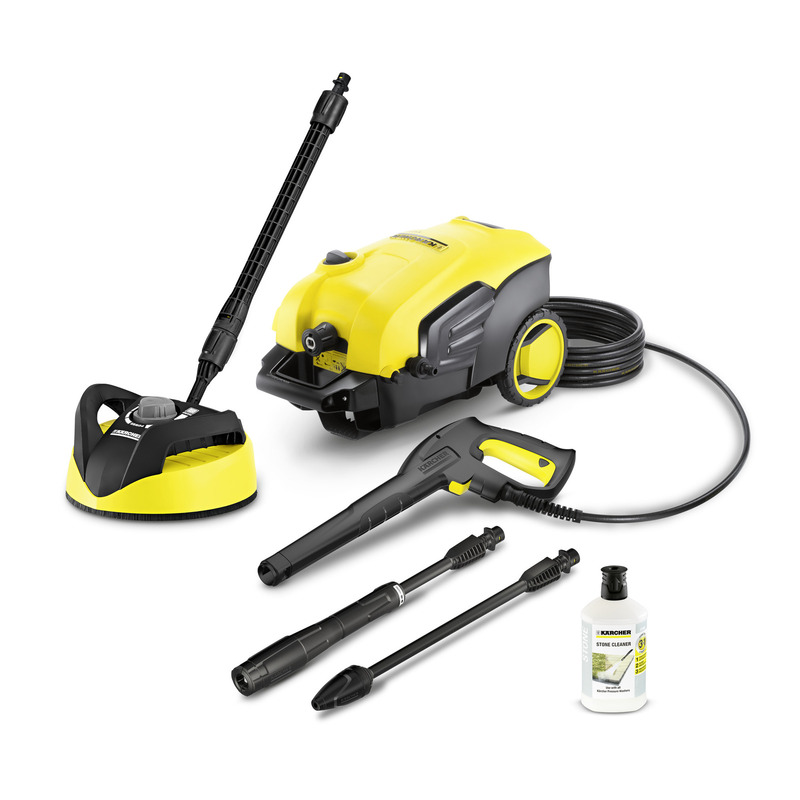 The Home Kit with 3-in-1 stone and facade cleaner (1 l) and T 350 surface cleaner is ideal for effectively cleaning level surfaces without splashing. Further features include a gun with Quick Connect connector and 8 m high-pressure hose. The pressure can be adjusted on the VPS (Vario Power spray lance) to suit the surface being cleaned. The dirt blaster effortlessly removes stubborn dirt. A water filter protects the pump against the ingress of dirt particles.